As I was reading the 23rd chapter of Proverbs, these 2 verses kind of jumped out at me. As I've read a couple of commentaries, this is the parent speaking to the child and rejoicing in their following the correct path. I can't help but hear God's pleasure in these verses, as well, because I am His child! 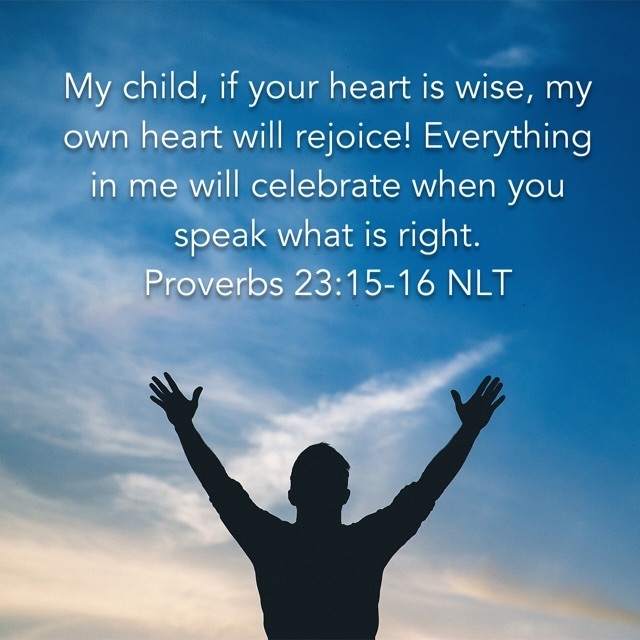 I had such a wonderful picture in my mind of everything in Jesus celebrating when I speak what is right! I don't know about you, but that moves me to want to speak what is right more often! How will you speak what is right today?